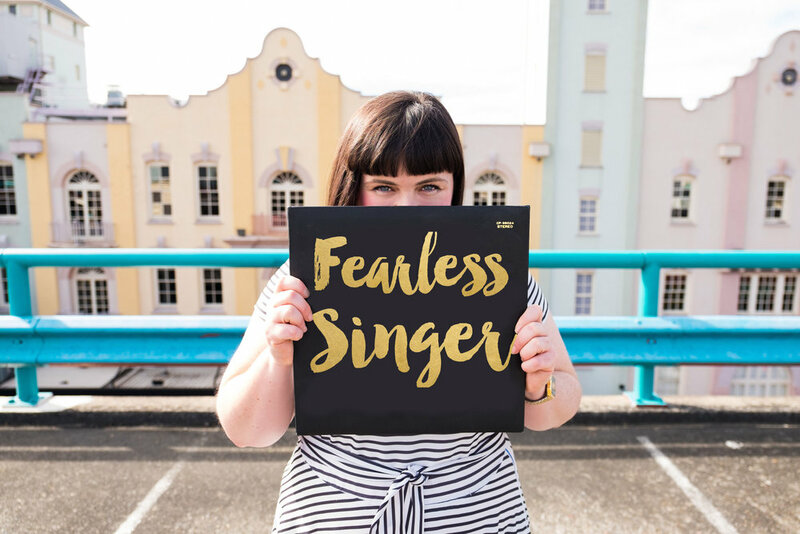 There is nothing more exhilarating for a singing teacher to help a student discover they can sing, despite protests from them that they are ‘tone deaf’. The reality is, there is a very slim chance one would even fall into this category, with research finding that 1 in 20 people have tone deafness. That is only 4% of the population! So what is it exactly and why you are most likely to not have it? Amusia, the medical term for tone deafness, is essentially a perceptual problem. Studies suggest that while there are no anatomical differences between amusics and non-amusics, there are subtle differences in the neural connections within in their right frontal cortex, which may be the contributing factor for limited musical perception especially in terms of sequencing sound. People with amusia cannot follow the simplest of tunes or tell the difference between two pitches, unless they are significantly far a part. Your non-amusic listener can hear the difference between notes a semi-tone a part while your amusic peep will hear it as the same note. Chances are, if you are experiencing poor pitch, you will know when you are not matching the note. And you can hear the difference between two notes, even if you are yet unable to sing them. So, I can learn how to sing in tune? Of course you bloody can! There are many (fixable) factors that may be affecting your intonation. Oh, by the way, let me quickly point out the difference between pitch and intonation. Pitch is your understanding of sound, while intonation is the word to describe the act of making a pitch. What can make your intonation suffer? Singing in keys that don’t suit you. Chances are if you are beginner singer and you try to sing along with Jessie J or Ariana Grande, you may find that you fall a little (or a lot) flat. Most pop singers are in keys that are way too high for the average person and even for some professional singers. I have had so many students discover that they can sing their favourite songs if the key is taken down to at least a third or a fourth below the original. 2. It’s difficult to identify a melody from all the bells and whistles you hear on recordings. On the topic of pop singers, often the melody is so convoluted with melismas and vocal effects that it is difficult to identify the actual melody. Once this is simplified for the student, they are surprised by how good they actually sound. 3. There are technical issues that need addressing. There are various reasons for poor intonation caused by a lack of good vocal technique, however, a lot of it can be boiled down to poor postural alignment, inefficient breath support and management and tension of the vocal muscles. This is a big topic and really deserves another blog post to flesh it out. In the meantime, book in with a singing teacher who can give you a vocal diagnosis. Just know, that whatever is causing the problem, it can be fixed by doing targeted vocal exercises. These need to be done accurately and consistently in small focused chunks of time. Also, understand that it may take some time, so be lovingly patient with yourself and learn to enjoy the process. 4. You need more guidance in understanding the sequencing of sound. Perhaps you come from a family who didn’t place a huge importance on music. Therefore, the radio or record/CD player was never on and you weren’t encouraged to take music at school. Or maybe you did come from a family of strong music appreciators however you still struggle to organize sound. Again, a singing or an instrumental music teacher can help you develop this skill. I strongly encourage my students to take up the piano. It’s a great learning tool for developing pitch as the piano keys provide a strong visual as well as something to touch. Great feedback for the brain! There are also so many excellent resources and tools that can help you, from books, CDs, and even apps. This is all great, but I really do think I’m tone-deaf. Look, perhaps you do fall into the 4% of the population who are amusic. Before you write off your singing aspirations, however, how about you see a singing teacher or voice specialist. If they too decide you are tone deaf, seek a second opinion. And finally, if you are, don’t let it stop you from singing. I’m serious! Even if it means that your loved ones need to invest in ear plugs. Don’t let anyone, including yourself, deprive you of one of the most healing and joyful activities that human beings have the ability to do – making sound with your voice. Lots of love to ya! P.S. Don’t be a stranger, if you have any questions or thoughts, leave a comment below or email me. P.S.S. Please share this with someone you know who may think of themselves as tone deaf but deep down really do have aspirations to sing. You may change their life. Oct 14, 2018 Thinking of becoming an Airbnb host? Here's how to be a Superhost. Dec 8, 2016 What do you want to achieve in this lifetime? May 9, 2016 THE GRATITUDE EXPERIMENT: Can gratitude make a difference to our singing practice? Feb 11, 2016 Elixir Exercise for the Voice - you will feel & hear the difference!